After spending over 5 months working in Vancouver, BC (as a sculptor for The Night At The Museum 3 movie,) I'm back in Los Angeles forging ahead with everything Skulboy Designs. This is a completely hand-crafted item that started with the mini disc sculpture that was then molded. 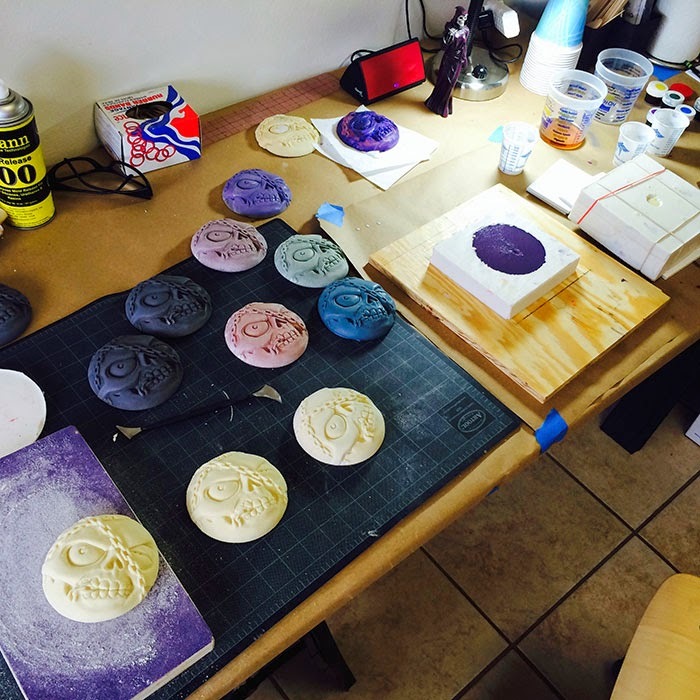 Following the molding process was casting parts, shopping the parts and painting them. Still getting the casting color ratios worked out and designing the packaging. Hoping to have these available this Summer in a single color version and a fully painted version. One of the prototypes marking a spot on the course. 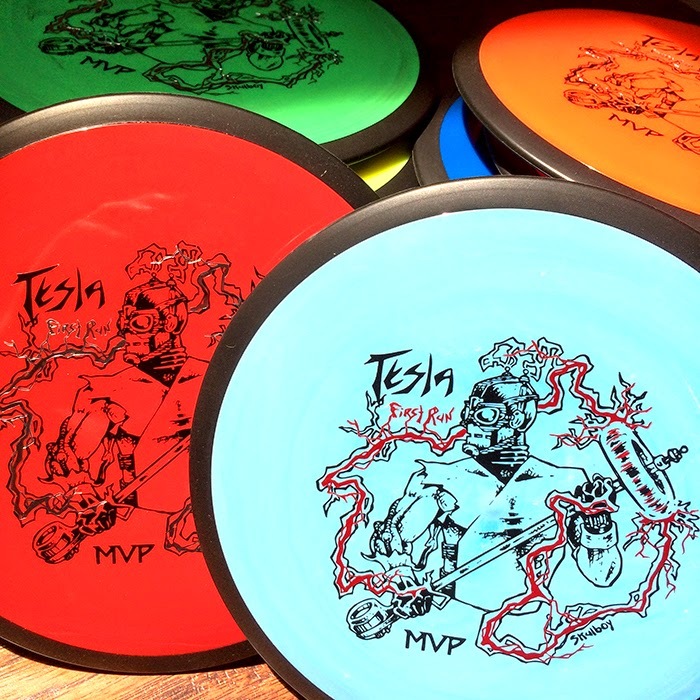 MVP's highly anticipated Distance Drivers are finally making their way into the hands of Disc Golfers everywhere. This custom Skulboy stamp from Disc Nation once again features Doc Volt standing at the ready with his Tesla Staff of Justice. This red-hot disc is available in the Skulboy Store. MVP/Skulboy 1st Run, double stamped TESLA. 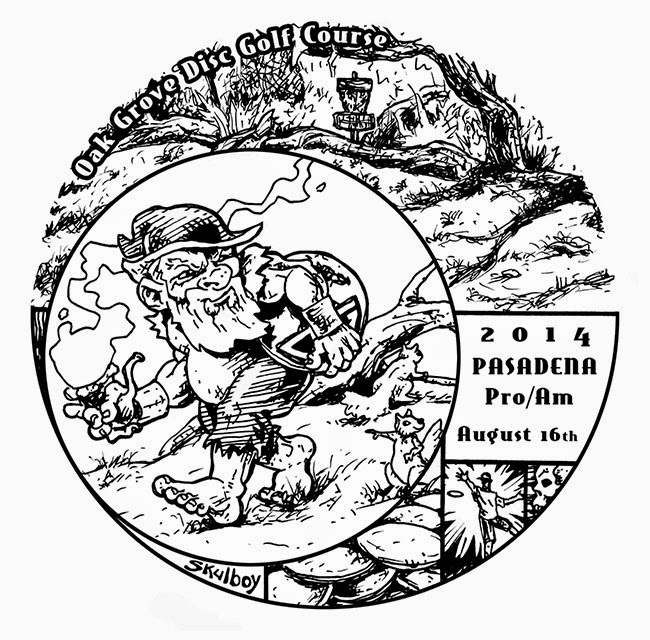 The Oak Grove Disc Golf Course is not only the first permanent Disc Golf course in the world, but also what I consider to be my "home course." It has been a honor to get to design a stamp for the sport's most historical destination. 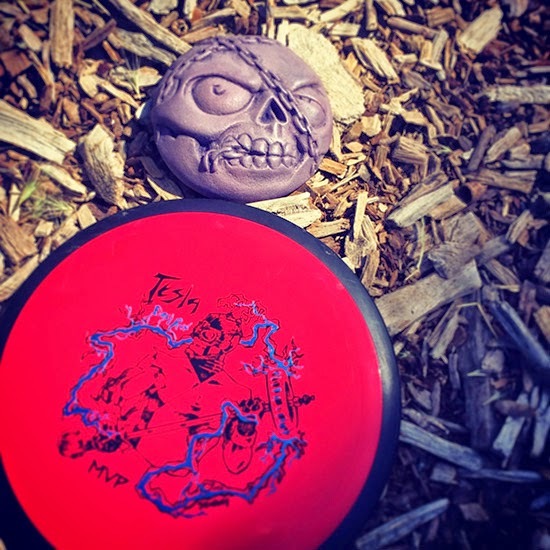 I've had this artwork idea for a Disc Gnome on hole 8 for many, many years. Ever lose a disc when you know right where it should be? The secret of the Disc Gnome is revealed at last.